If you’ve ever been curious as to what a Babyology team member’s nursery looks like, today is your lucky day. 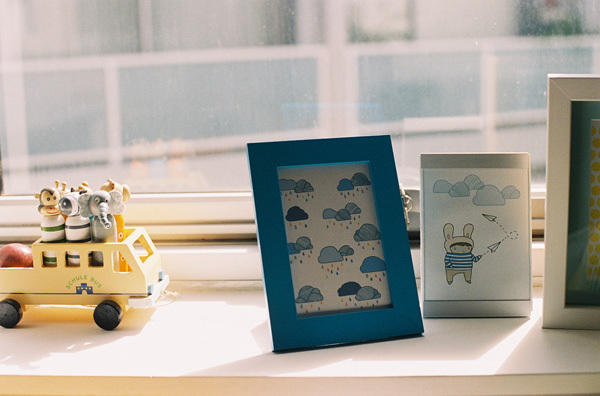 Come take a peek at what lurks behind Leo’s stylish nursery door! 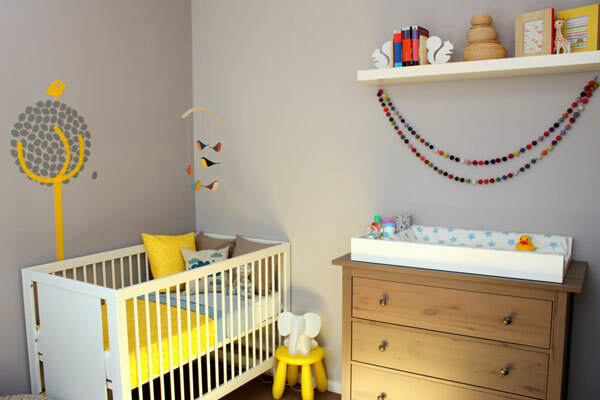 This room has been amazingly kitted out by our very own Babyology Production Manager, Laura and it’s her littlest man Leo who is lucky enough to call this room his own. I absolutely love the neutral tone of the grey, taupe and white palette with bright pops of colour found in blue and yellow accessories, soft furnishings and accents. I’m positively giddy too by the addition of a very cute multi-coloured felt pompom garland! The addition of a daybed is a smart move. 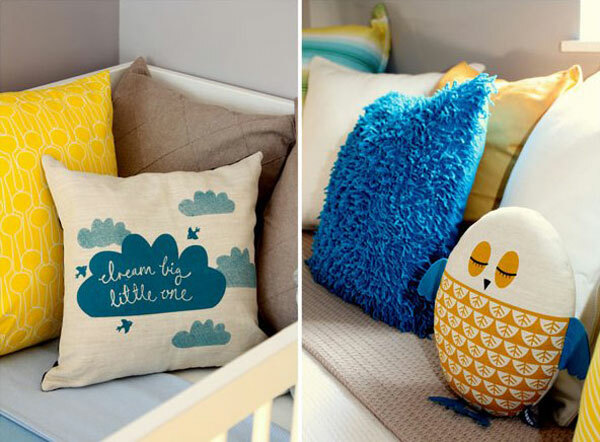 Perfect for settling a restless baby or snuggling up for a read, when it’s time to move from the cot, a bed isn’t something completely foreign that has suddenly landed in the room. How does someone decorate so beautifully, I hear you ask. 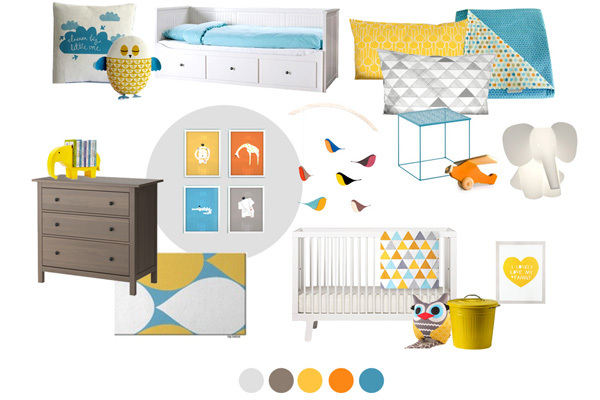 Laura says: After months of collecting images from Etsy and nursery blogs, I put all the ideas together on a mood board to narrow down our favourite items. Once we’d decided on the style it only took us a few weeks to paint and put it all together. There you have it folks – doing your homework and planning is the key! You can make your own digital mood boards with the help of Pinterest or Polyvore, see Laura’s mood board below. Here is Laura’s dashingly handsome and equally darling son Leo when he was still new to this world. 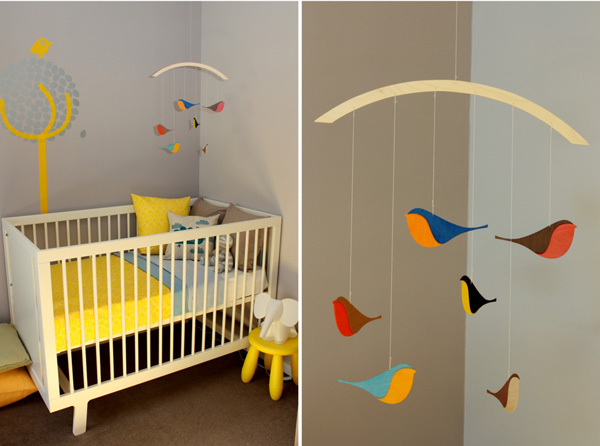 He’s nearing toddler age now and will be enjoying this space for many years to come – the beauty of this style is it lends itself to all ages, so a few simple changes along the way may be all that’s needed well into his preschool years!